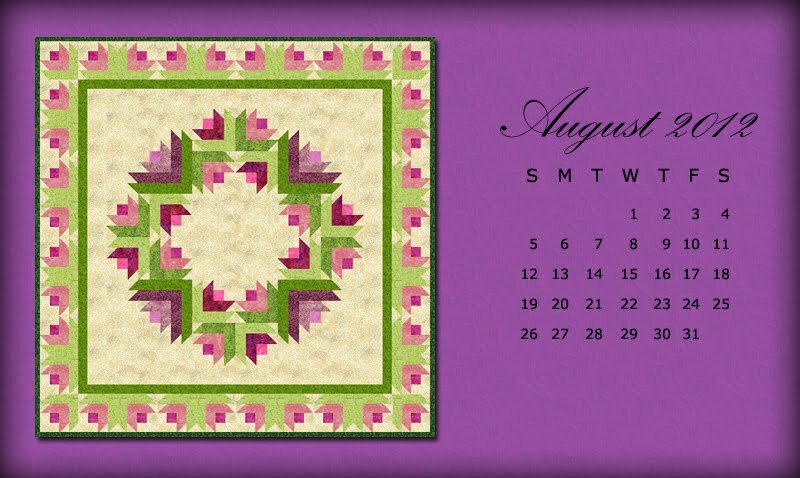 So about a week ago, Marija Vujcic, a fellow-EQ7-user posted that she'd designed a couple of wreath blocks in EQ and put them on her blog, Marija's Fabric Creations. I'm nosey, so I checked it out. Loved the wreath she made with them. And the other alternate design ideas were cute too. 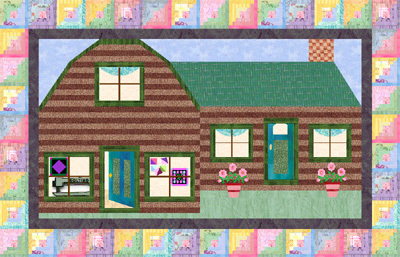 Then I noticed that they were basically log cabin-variations. Ding-ding. Lightbulb moment! 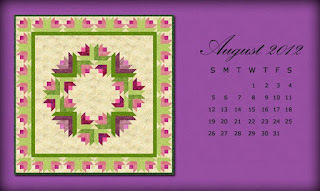 I could save myself some time and effort if I stole - I mean borrowed Marija's wreath quilt to use as my desktop calendar. Not that I mind the time it takes to work up my desktop calendar every month, and not that you're not worth the effort, but really, it's so much easier when someone else does the work! And a big thank you to Marija and Marija's Fabric Creations!